2. 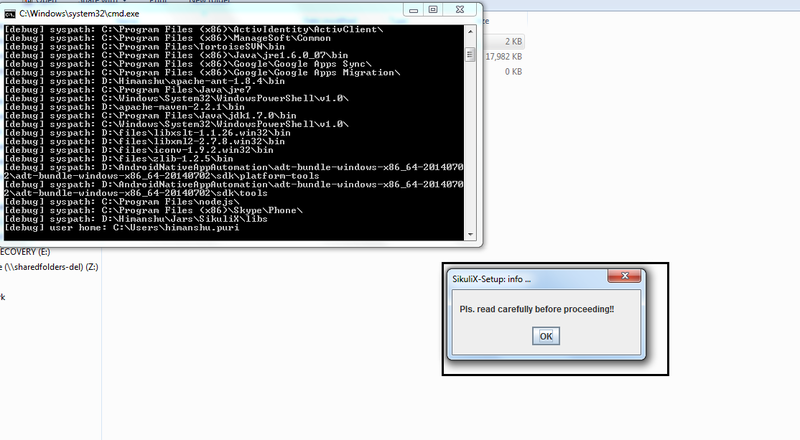 Click on “Sikuli-setup.jar” as shown in the screen shot below. 3. As soon as you click on the link, it will open up a new tab window from where you need to download the jar. Look at the below screen shot. 4. Save it into folder and keep it any directory. Now Double click on the Jar file. 5. 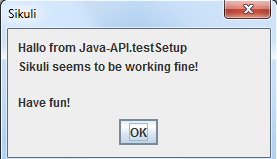 As soon as you perform double click on Jar file, a message window pops up. Just click on Ok button. 6. After clicking on OK button, you will see runSetup.cmd file in your folder. 7. Double click on runSetup.cmd file and in few seconds a message pops up, just click on OK button. 8. 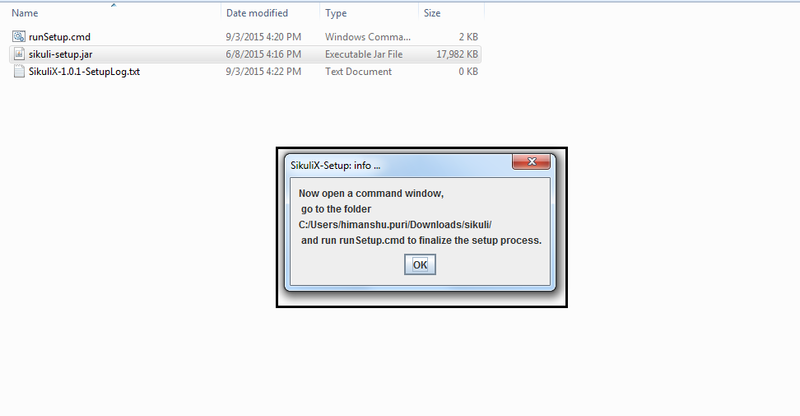 After clicking on OK button, “SikuliX-Setup” window opens up. 9. Select options 4 & 6 and click on Setup Now button. 10. After clicking on Setup Now button, popup will open to ask you to download the Sikuli-java Jar file. Just click on Yes button and download the Jar file. 11. 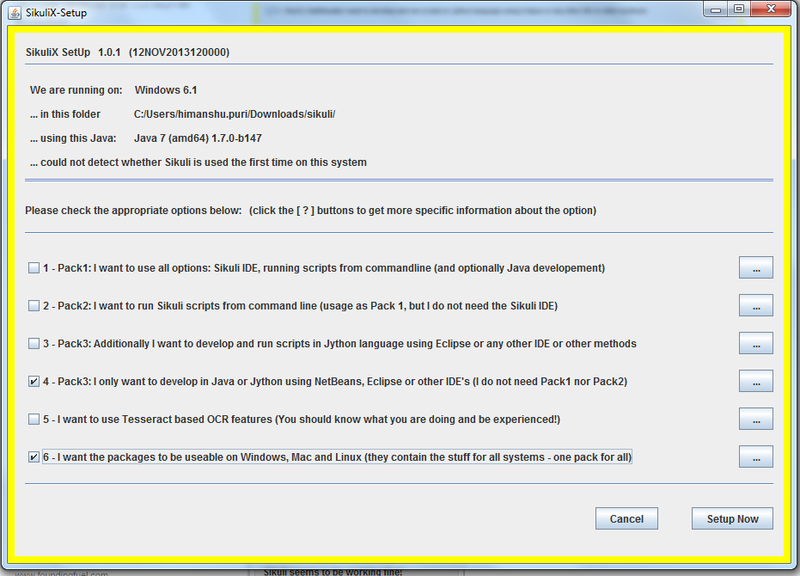 And then a confirmation message from Sikuli pops up, Just click on OK button. NOTE : Jar file that is being downloaded on 10th step will be included in the project to access the Sikuli API.